Joseph Ackerman focuses his practice in defense litigation, with particular emphasis in personal injury, property damage and insurance coverage litigation. Mr. Ackerman is involved in all phases of the litigation process. He defends individuals, businesses, and governmental entities in personal injury and property damage litigation, including premises liability, medical malpractice, trucking accidents, and products liability. He also advises insurers on coverage matters and litigates coverage issues. Prior to joining Hinshaw & Culbertson LLP in June 2015, Mr. Ackerman was for six years an attorney with a litigation firm in Chicago, Illinois. He also worked for a time in public service with the City of Chicago Department of Law, where he clerked during law school and handled administrative hearings related to business and liquor license matters. 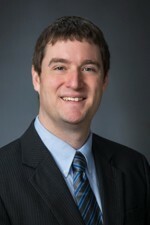 Mr. Ackerman completed the Litigation and Alternative Dispute Resolution Certificate while at Chicago-Kent where he worked in the clinical program of the Law Offices of Chicago-Kent. He was also certified as a volunteer mediator with the Center for Conflict Resolution and has served as a Moot Court Judge.